On Saturday we will see The Zipping Classic over 2400m at Sandown. This race of course was formerly known as The Sandown Classic and prior to that The Sandown Cup. It was renamed after Zipping recently won this race an amazing 4 times in a row. 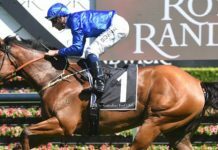 This year it sees one of the world best stayers starting in the race. I speak of course of Americain. I suppose he should win based on class and the weights scale. His win in the Moonee Valley Cup appeared effortless once clear in the straight and then in the Melbourne Cup under a big impost, he got well out of his ground and ran home very strongly for fourth. There is a case to say he should have finished closer to Dunaden. The hurdle as I see it is coming back from 3200m to 2400m. 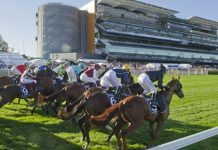 It’s obviously clear that the Melbourne Cup is the race the horse was trained for and sometimes races after the main target can be a question mark – in this case, to back the hose you’d have to take particularly prohibitive odds. The horse I will be backing is Lamasery. He was unlucky in the Metrop and last start at Flemington I thought it was a massive win. He was shunted wide on the corner and copped a bump but still made his rivals look second rate in the straight. The question mark on Lamasery I suppose is the distance of the race and the step up in class. It’s a question mark at the decent odds of around $8 that I am prepared to take on however. He is a horse on the way up and if he handles the questions marks I have raised he wins this race. 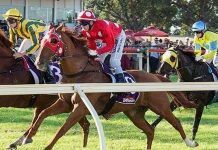 In the end,my thoughts are that both horses have some question on them for the reasons outlined, so it’s a case of value – I’d rather be on at $8 to find out, than on at $1.50. Mourayan looks the other obvious trifecta horse but no prizes for telling you that.